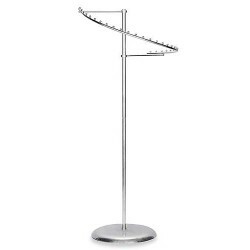 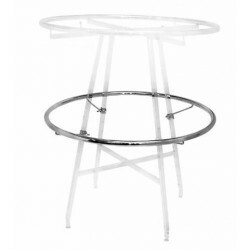 Round Garment Racks in polished chrome allow for displaying clothes in the round. 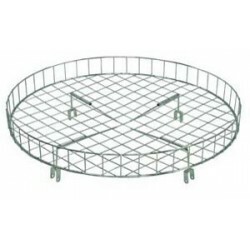 Increase display space with this 30'' diameter top basket. 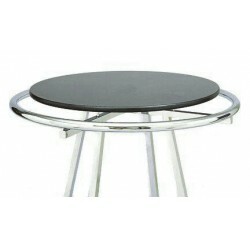 Mounts easily to any round rack. 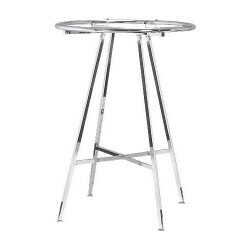 Use to make second level on a round clothing rack. 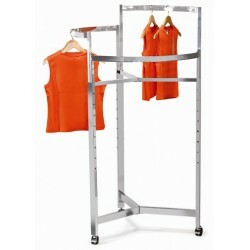 Comes with 4 clamps to mount to rack.